Brittle Crazy Glass: The Shortest and the Longest Tongues at Westminster! 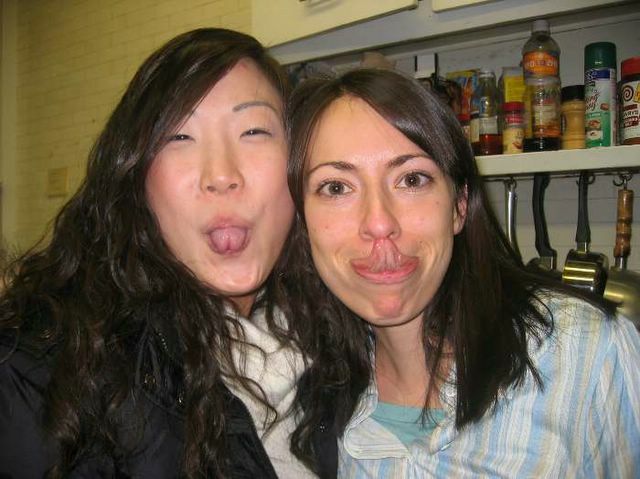 The Shortest and the Longest Tongues at Westminster! While we were all celebrating Tiffany's birthday (Jan. 17? ), Miriam happened to stick out her tongue and we all laughed at how short it was. I, in turn, had to demonstrate the glories of having an "Ogle" family tongue ... and the joys of this moment have now been posted several places on the internet, where I found and uploaded it.